How to add a logo to your video? 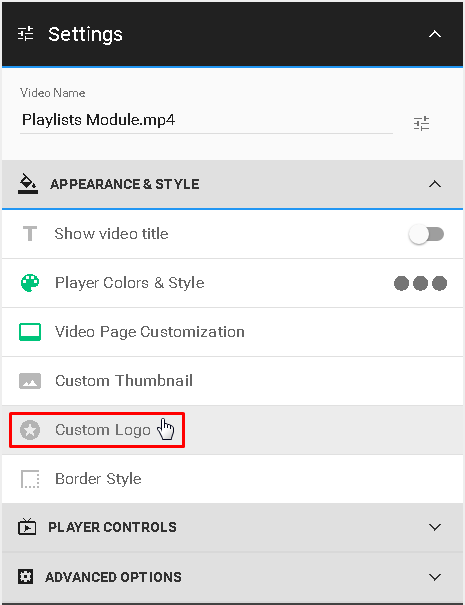 Settings for Custom Logo are located under the APPEARANCE & STYLE menu. Here you will be able to paste your image URL or directly upload it by clicking the upload button on the right. You can also choose some previously uploaded picture. Use our grid to position your logo according to your preferences. 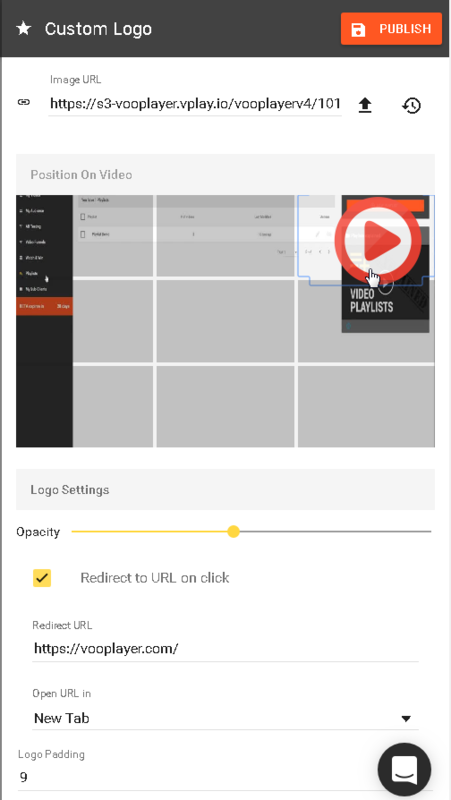 You can also manage the logo transparency with the Opacity slider and view the result on your video in real time. Clicking on the logo can redirect a viewer to any web page, if you check the box "Redirect to URL on click" and enter a URL of your choice. 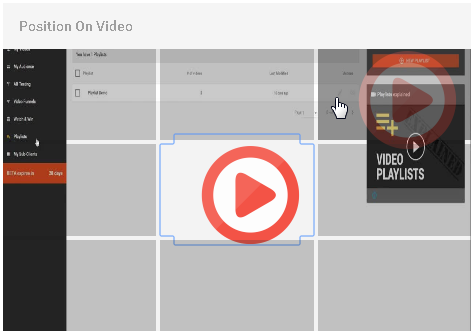 When everything is configured, do not forget to PUBLISH the video to save your settings. You can check the result instantly on your Watch Page.